One of Erick Ponce’s uncles, Jaime Garcia, is making the trip from Guatemala to see Ponce’s graduation this spring from Arizona State University. It’s an especially meaningful journey for them. It was Garcia’s engineering designs that had captured the young Ponce’s interest. Now he is graduating with a bachelor’s degree in civil engineering and in the fall will begin studies to earn a master’s degree in the field. At the time Garcia’s work first inspired his nephew it was far from certain Ponce would ever get the opportunity to realize his ambition. At five years old Ponce had demonstrated exceptional academic potential, earning him a scholarship from a private organization to study at a private school in Guatemala City. It was a three-hour trip from the small rural community of Izabal where Ponce’s family lived, so he moved in with Garcia and his wife in the city and stayed until he had graduated from high school at 16. Ponce’s parents, however, didn’t have the resources to send him to college, so he returned to his hometown with uncertain prospects for his future. That situation helped to prompt a big step by his stepfather, Daniel Aldana, a native Guatemalan who at one time had lived in the United States for 14 years and had become a U.S. citizen. He decided the entire family would benefit if he returned, and soon the family moved to Phoenix, where two of Aldana’s brothers already lived. It proved to be a particularly fortuitous new home for Ponce, given his aspirations. “I heard that ASU had a great engineering school, so I wouldn’t have to apply anywhere else and then have to move again to go to a good university,” he says. First he had to help support himself and his family. Ponce found a job with a landscaping and construction company and worked full-time – plus a lot of overtime – for two years before saving enough to enroll at ASU. He also managed to squeeze in time to take a few community college classes along the way. Then he got a break – a chance meeting with the president of the student chapter of Society of Professional Hispanic Engineers (SHPE), who later introduced him to the people who ran the Motivated Engineering Transfer Students (METS) Program in ASU’s Ira A. Fulton Schools of Engineering. “That was the key to success for me,” Ponce says. Through SHPE and METS he found mentors who tutored him in how to study, set goals, build a résumé, get involved with student engineering organizations and competitions, and how to pursue internships. “I was impressed with Erick the first time I first met him and my first impression has not changed,” says METS program director Mary Anderson-Rowland, an associate professor in the School of Computing, Informatics, and Decision Systems Engineering. “When Erick started coming to the METS Center I learned of his situation and that he had supported himself since he was 19. This is a big responsibility for someone at that age,” she says. Ponce worked for a time in the METS Center and soon earned a scholarship through the program. 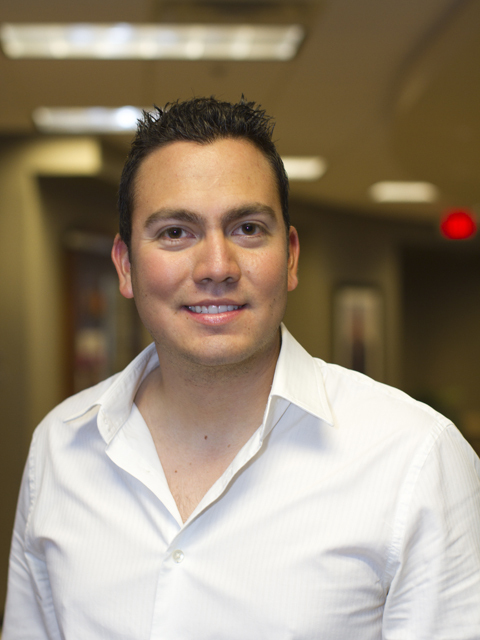 Ponce earned a few other scholarships, including one from the Arizona Society of Civil Engineers (ASCE), to support his undergraduate studies. 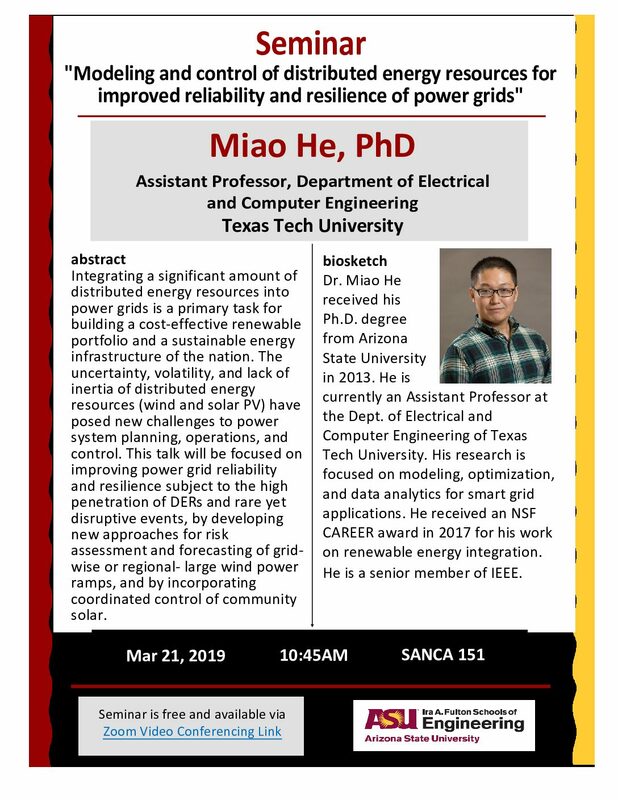 Along the way, he would join SHPE and the ASU student chapter of the ASCE, and travel throughout the country to attend the national conferences of the organizations. In each of the past three years, the ASCE chapter received a certificate of commendation for its achievements from the organization’s national headquarters. 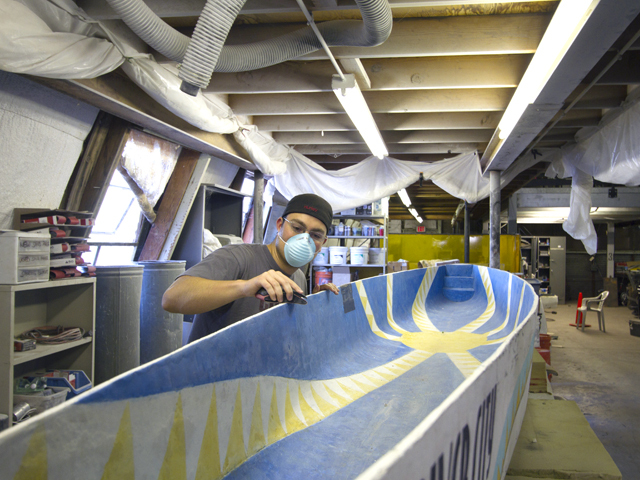 Ponce “was one of the hard-working members who contributed to this success,’’ said the chapter’s faculty adviser Kamil Kaloush, an associate professor of civil engineering in the School for Sustainable Engineering and the Built Environment. 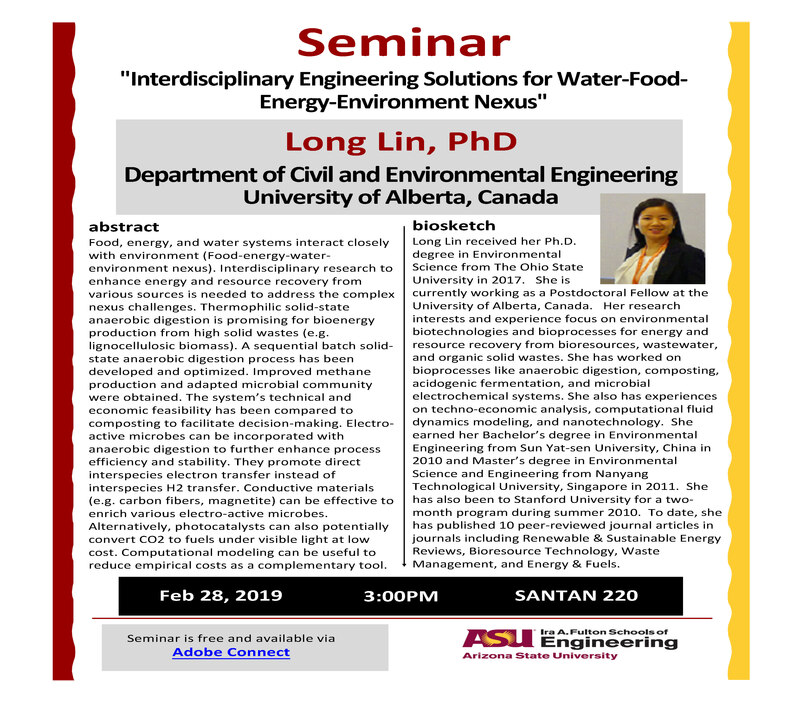 Ponce was an officer for a year in the ASU chapter of the civil engineering honor society Chi Epsilon, and spent another year as vice president of the ASU SHPE chapter. He helped the METS center coordinate academic and professional development workshops for fellow students. He also got hands-on engineering experience with a team of fellow ASU students working on a project through the international Bridges to Prosperity organization. It took him back to Guatemala on two trips to help with the planning, design and construction of a bridge to help improve life in a rural community. 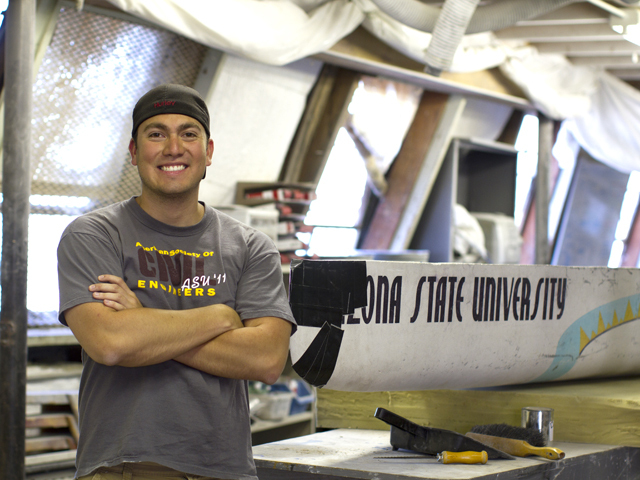 He would serve two years as a construction captain for an ASU team participating in the popular ASCE national student Concrete Canoe Competition. Ponce’s improved academic performance and extracurricular endeavors helped him land summer internships each of the last three years, first with a water engineering and management consulting group, then Southwest Gas Corp. and then with the major international mining company Freeport-McMoRan Copper & Gold. He’ll return this summer for a second internship stint with Freeport-McMoRan. He’s become confident enough that he will pass up an opportunity to immediately begin a full-time job after graduation and take the time to earn a master’s degree. He figures the higher level of education will broaden his employment options in his field. Along with all the other achievements during his time at ASU, Ponce, now 24, also became an U.S. citizen. He says he feels fortunate that his family was able to move to the United States. “I’m very grateful for all the doors that have been opened for me,” he says. While he thinks this country offers him the best opportunity to get established in an engineering career, Ponce says he hopes to one day be able to use his skills to aid his native land. Guatemala “is in desperate need of educated people who have the will to change things there for the better,” he says. He hopes to eventually be one of them.